Much of the fun of traveling on Rene’s Beta trips is that you don’t know what’s ahead. New routes take guests to countries Rene visited during his around-the-world trip. Beta trips allow an opportunity for updates and fine-tuning before any tour goes live. A group of skilled riders, who are comfortable with uncertainty, go on a test ride and provide input for the final finesse. 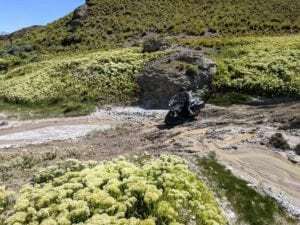 That incremental level of adventure appealed to Peter Knowles, a Renedian and touring veteran. Peter traveled to Africa twice with Renedian before being invited to join the Beta trip for Mongolia. 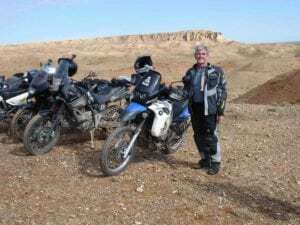 In 2011 he’d joined a group from Budds BMW Motorrad on the Spectacular South West Africa trip. 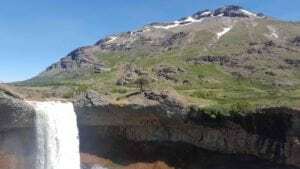 He enjoyed it so much, he returned with his wife for the Waterfalls and Wildlife Safari. Around the same time, Ewan MacGregor and Charley Boorman were seeding exotic adventure in riders like Peter, with Long Way Round. 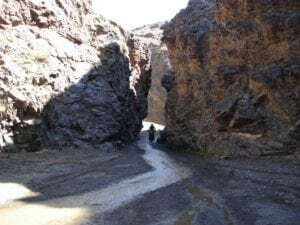 When Peter received an invitation from Rene to take part in the Gobi Discovery beta trip, he was thrilled, but the dates overlapped with a trip he’d booked to Norway. Rene adjusted his dates and Peter was able to do both. 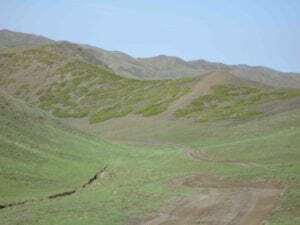 “Mongolia was the most challenging riding I’ve ever done. I’d get up and wonder what was going to happen that day. The bikes weren’t in the best condition and were a little big for the riding we were doing. Rene now uses only 450cc and 250cc bikes there. It’s the favorite place I’ve ridden—the least populated, with friendly people, and humbling landscapes. 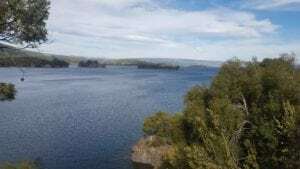 The beta trip to Chile and Argentina at the end of 2017 held attractions of a different nature. The scenery was spectacular beyond Peter’s imagination. 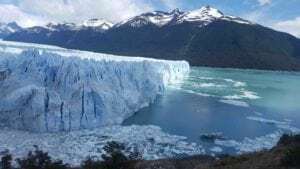 They viewed the Perito Moreno Glacier, 170 metres high at the face and five kilometers wide, and one of the few growing glaciers in the world. A four-kilometer hike up snow-covered Mount Fitz Roy brought the group to a small lake where they could drink right out of the lake. Torres del Paine National Park in Chilean Patagonia welcomed them to more mountains, glaciers, glacial fed rivers, and waterfalls. 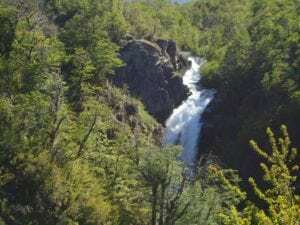 Another time, they stopped at a waterfall in southwestern Argentina and turned their heads to watch a steam volcano erupt. “The trip was very well planned. 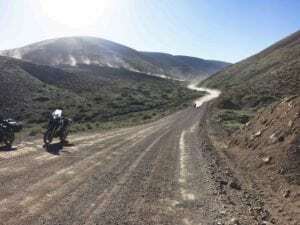 John Wellburn and Rene were pretty sure what the road’s going to be like but there’s always that level of uncertainty. When Rene says it’s Beta, he’s got almost everything planned, only a few boxes to check off. “The roads were about 35 percent gravel, with very little sand. They were a little more difficult than Namibia but nowhere near as demanding as Mongolia. Most of the gravel was pretty good but you had to pay extra attention in areas of construction. 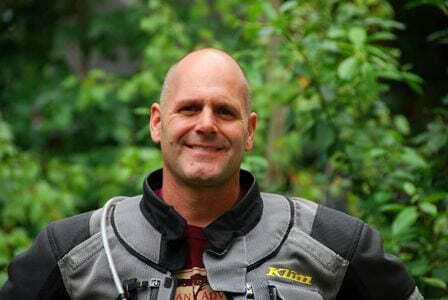 “In some cases, the asphalt pavement and road engineering were some of the best I’ve been on. “A shortage of rooms meant we bunked together a few times, but it was all part of the fun of beta travel. 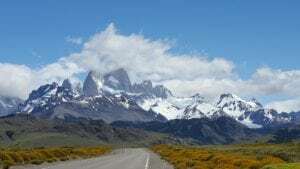 “The biggest change was the route to Tierra del Fuego at the end of the trip. After assessing the uncertainty of border crossing time, unpredictable weather, ferry schedules, and the availability of accommodations if the ferry was cancelled, Rene decided a longer ferry departing from a different port would make the trip a whole lot more enjoyable. “The second last night we stayed on an authentic estancia, a working ranch owned by friends of Rene. Sitting around a roaring fire under the southern sky, playing guitars and singing was magical.